Lifestyle, Wellness and Fitness Coaching to Reset & Restore the real you! Why not take the hassle out of getting your life back together. We can help you in so many ways to finding health, fitness and vitality at any level. 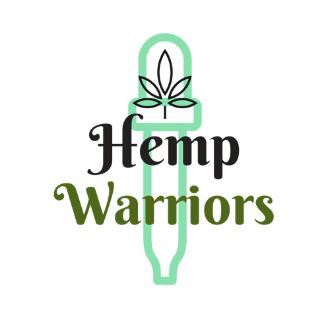 As trained Physical Therapists, Life Coaches, Nutritionists, Healthcare assistants, Exercise and Rehabilitation professionals, The Hemp Warriors provide lifestyle, wellness and fitness services to help you cope in a world that differs from our biological makeup. There's so much conflicting information about how to diet, exercise and get fit that it can often be very daunting to know where to start. We specialise in those that are trying to piece back together their lives, maybe its because you were bringing up the children and work/life was tough, perhaps you've had serious injury or illness and you need a kickstart, or maybe you consider yourself fairly healthy but something just isn't quite working how you thought it should be. We are all so unique but so similar, if we follow the mainstream cookie cutter workouts and diets its often just not compatible to our individual needs physically, mentally and emotionally. Sure if you're a twenty something and invincible thats fine, but what if you have spent twenty years in the shadows? what if you've given up so much for others and forgotten about yourself? "Self care is the ultimate foundation for a healthier, happier and better you"
Struggle with aches and pains? Are you overweight and feeling low? Perhaps you have a serious medical condition? Have you got a disability or difference that affects your life? Do you just want to live a healthier more balanced lifestyle? Through some simple SKYPE style consultations we can build you a plan to help you get your life back on track. To introduce you to new and exciting ideas that will start to reenergise your life and set you on a better path. Simply drop us an email and we can set up a free 20 minute consultation to see if we can help you. This is predominantly an online service so costs are reduced compared to face to face interaction, which is also a possibility. Think along the lines of a Physio Therapy or Personal Training session. Our service is built over blocks of lessons to help and encourage you and also to make you take some accountability for your actions. It may include the use of natural supplements like CBD oil along with fitness, nutrition and mental exercises for you to attain. The length of time this takes depends so we offer blocks of time. For instance 4 hours, 8 hours or 12 hours. Sessions can last from 30 minutes to 1 hour and longer depending on what you require. As we said everyone is unique in their needs so we are adaptable to any special requirements of the individual. The best option is our monthly subscription which will give you better rates and better discounts on things like our Receptra CBD Oil. Theres no visiting gyms or attending special classes this is all done at your rate with whatever you have available to work with. Whats important is you get on the right road and stop being distracted by the mainstream advertising. So drop us a line we will be happy to discuss your individual needs.